Our angle die grinder (like our straight model), is a lightweight and easy to use pneumatic grinder. It is excellent for high speed grinding, port smoothing, general polishing, and deburring. It has a rear exhaust that keeps air away from the grinding area. The tool is lightweight and easy to use. The throat is long enough to accept a standard wrench which makes changing dies both simple and quick. The pressure sensitive switch gives the operator variable speed control. It works well on all kinds of molds, metal products and even handicrafts. 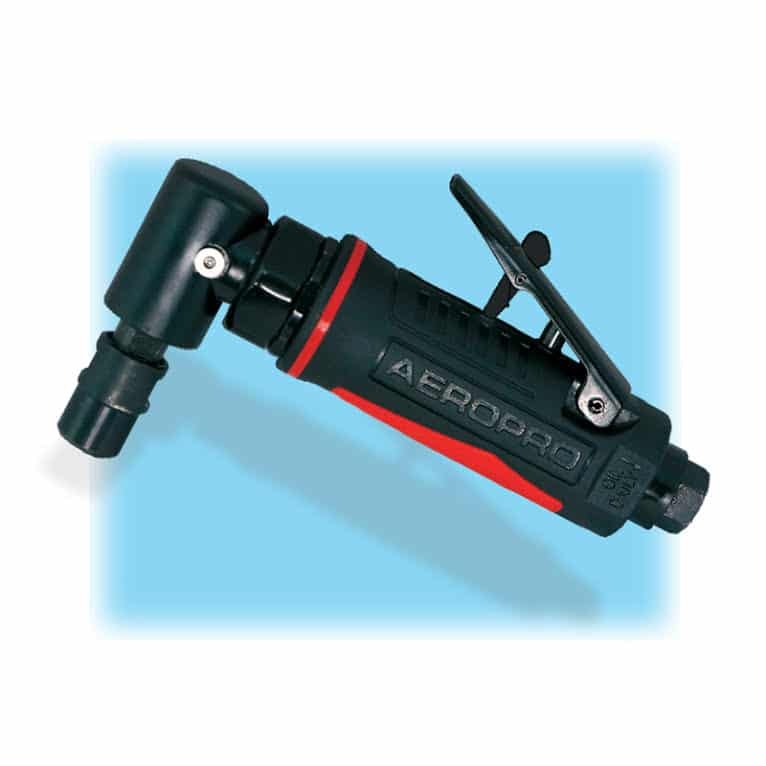 The soft grip handle significantly reduces the transfer of cold from the tool to the operator’s hand. It can be used for all kinds of mold making, metal project products and handicrafts. It is the perfect tool for shaping circuit boards, blank finishing, grind finishing and hundreds of other application for doing finishing work. Always run the angle die grinder using 90 PSI and make sure your air is clean. This will increase the life of the tool. Proper lubrication is also important in maintaining the tool and extending its life.